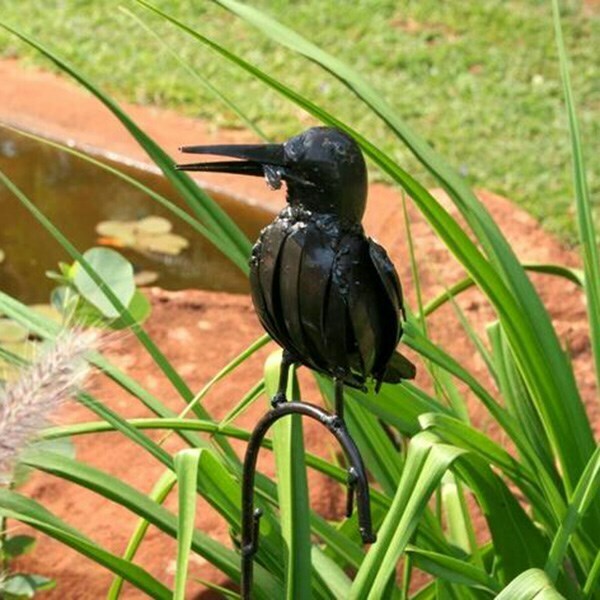 Elegant metal kingfisher perched on a hooked metal stake. Makes a lovely addition around the pond or spiked into the border to support young plants. 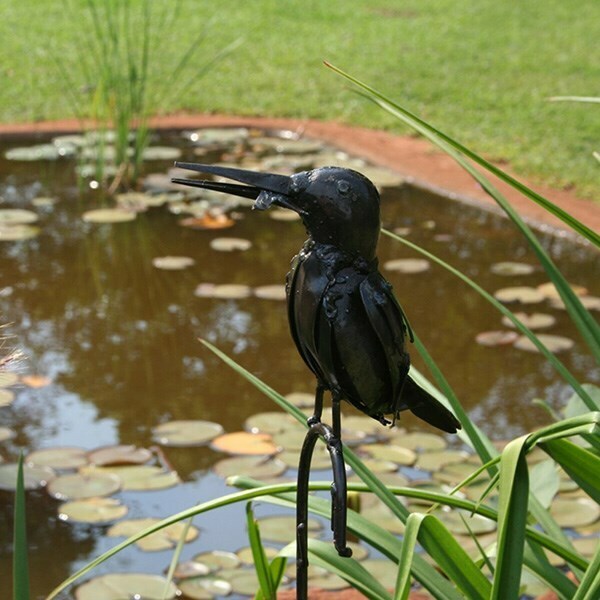 Handcrafted by artisans in Zimbabwe from recycled oil drums and reclaimed metal. The metal is heated and carefully moulded into shape before finishing with a high-quality varnish. A coat of boat varnish once or twice a year will keep it looking its best. Please note: as this product is made by hand, each will have its own unique character and markings. Part of Tilnar Art’s RSPB Metal Bird Collection. Every purchase generates income for the RSPB.